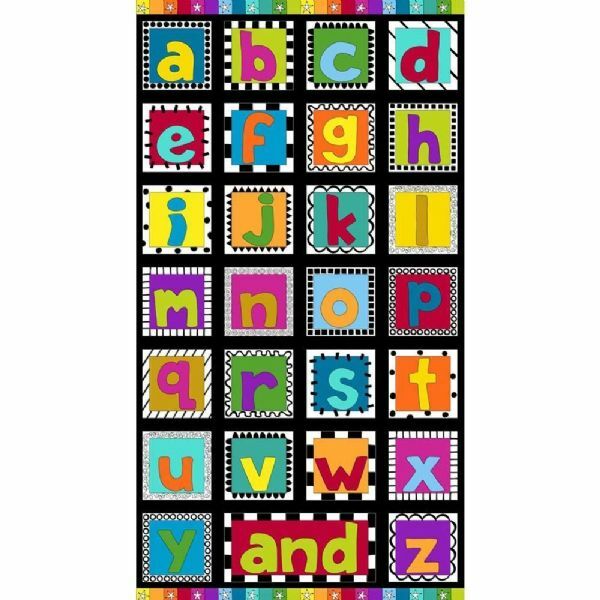 Makower And Z - Panel is a childrens patchwork fabric panel, approximately 43 x 23 ½ (110 cm x 60 cm). 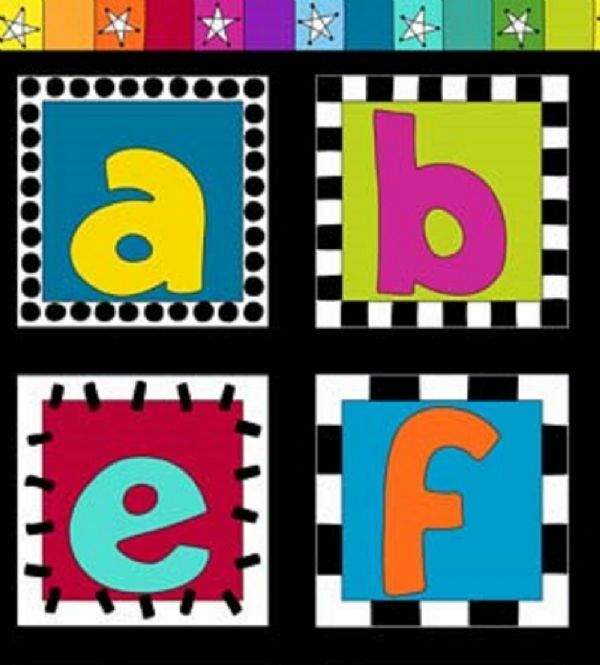 These brightly coloured squares have all the letters of the alphabet in primary colours surrounded by a black border. Ideal to make quilts or cusions for a child's room. Each square measures approximately 5 ½ inches (14cm).